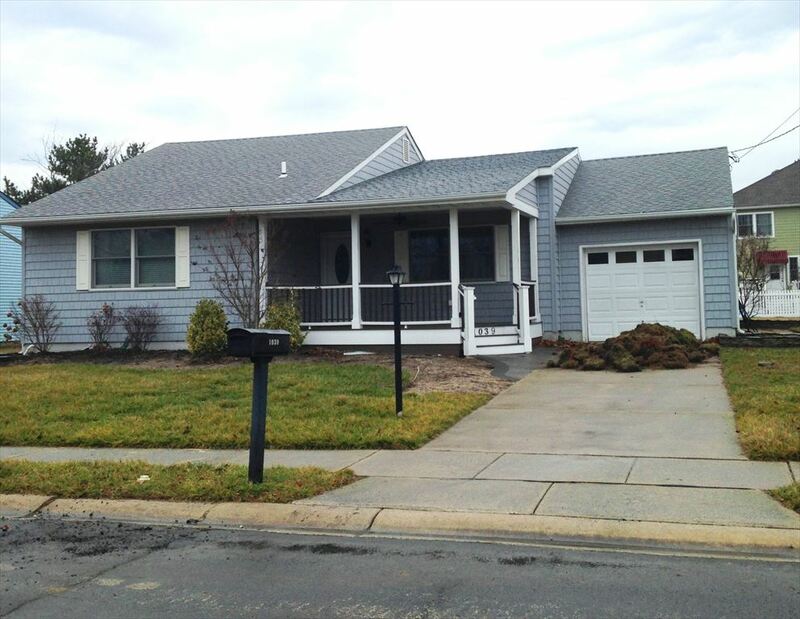 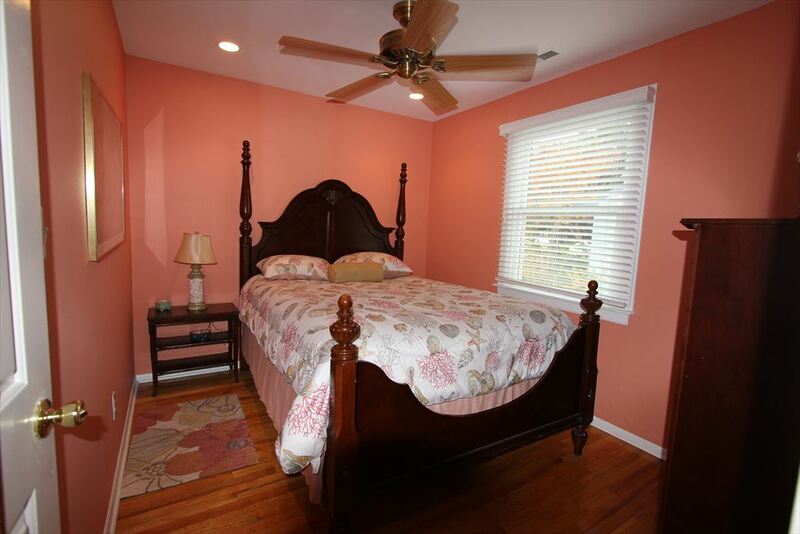 Located in quiet neighborhood, this beautifully maintained 3 bedroom 2 bath home is your ideal "beach home away from home." 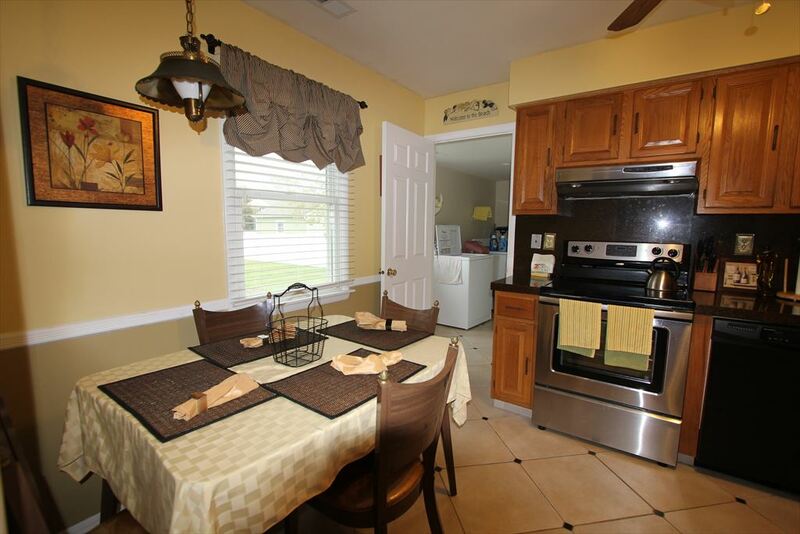 The front porch has a fan to help keep cool while sitting outside enjoying your morning coffee. 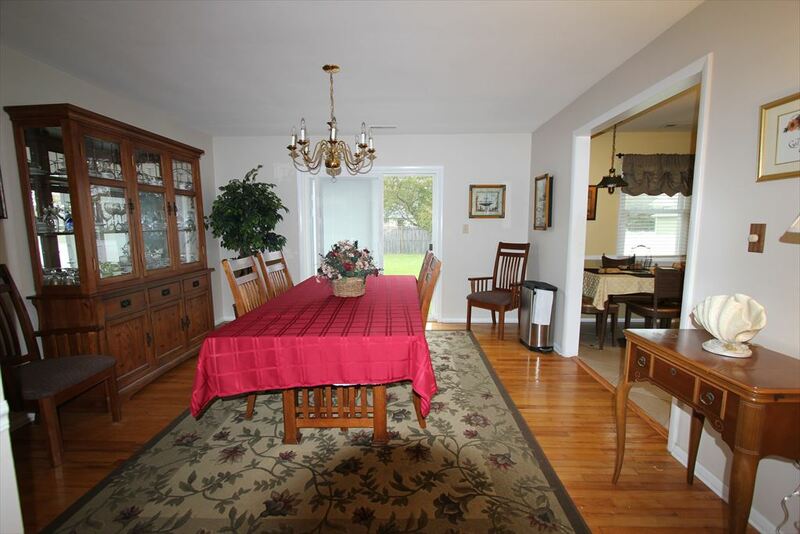 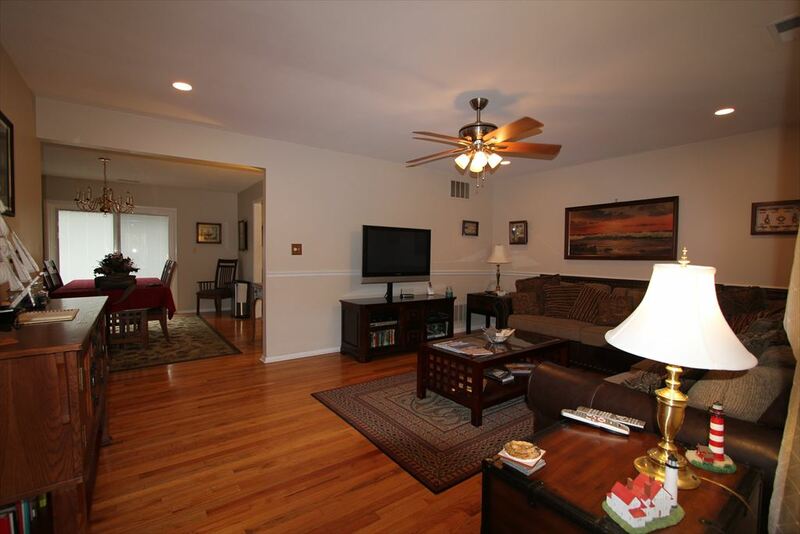 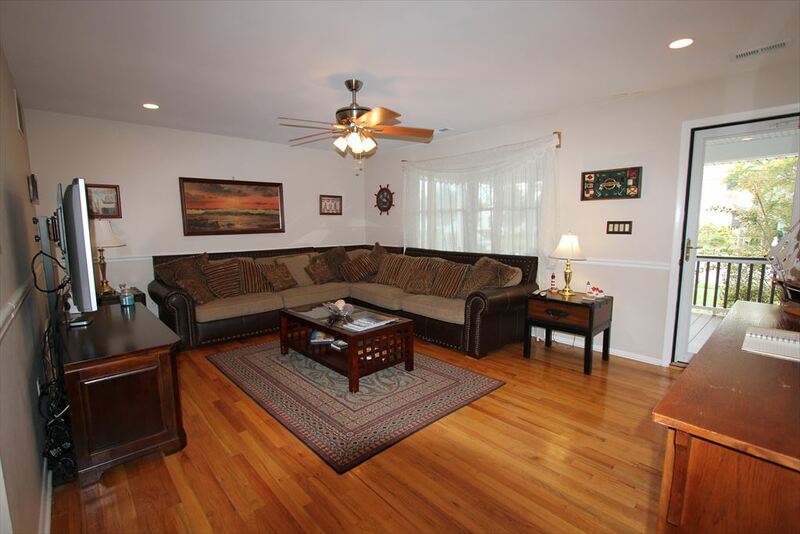 Inside, the family room has plenty couch space for relaxation and features a flat screen TV. 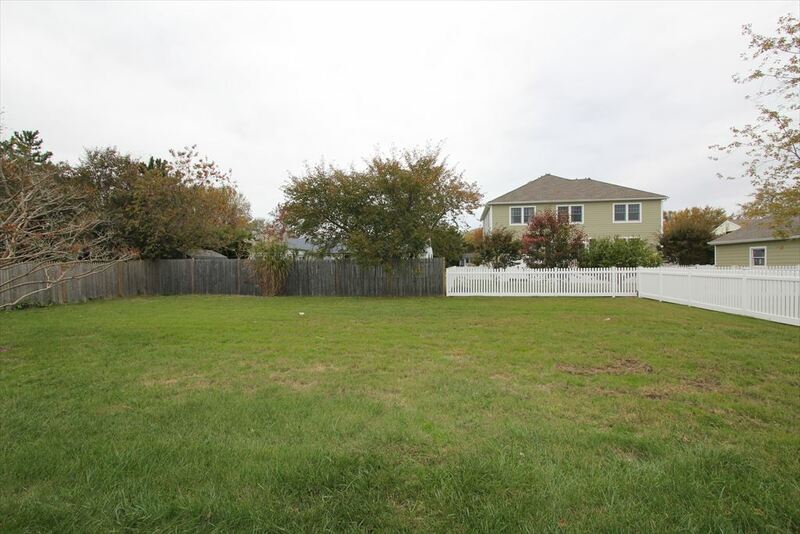 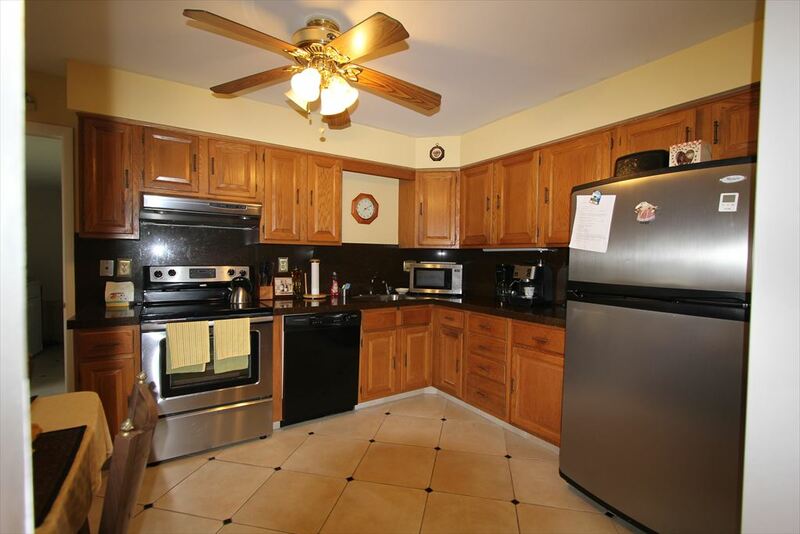 There is a lovely dining room with six chairs, a full kitchen with modern amenities, a mud room with washer and dryer and also a full garage to store your bikes and beach equipment. 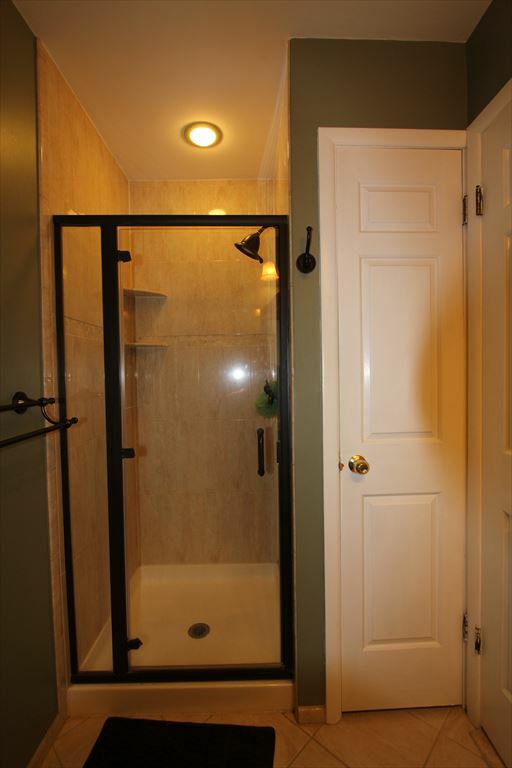 There are 3 bedrooms and 2 full bathrooms. 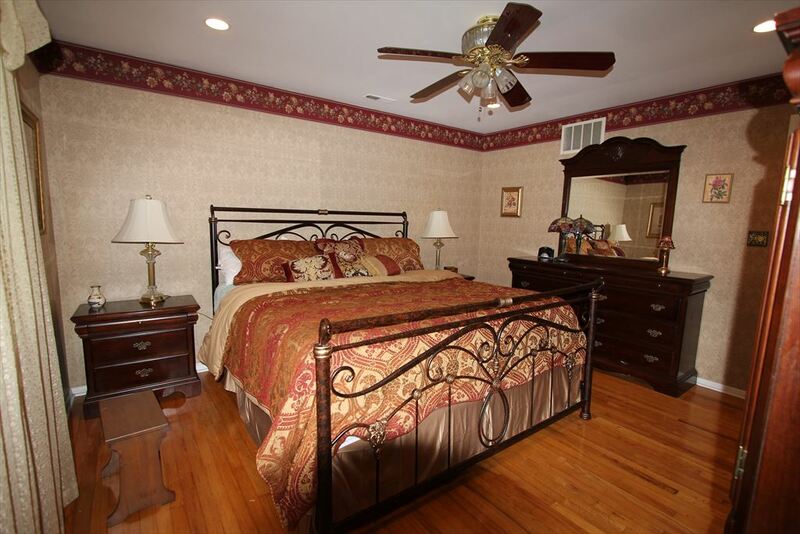 The master bedroom has a king sized bed and a private bath with standing shower. 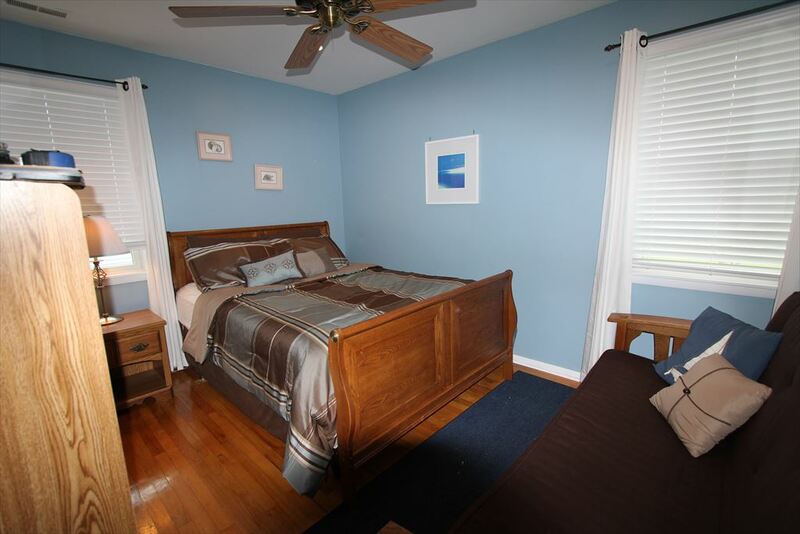 The other two bedrooms feature queen sized beds, one bedroom has a futon as well. 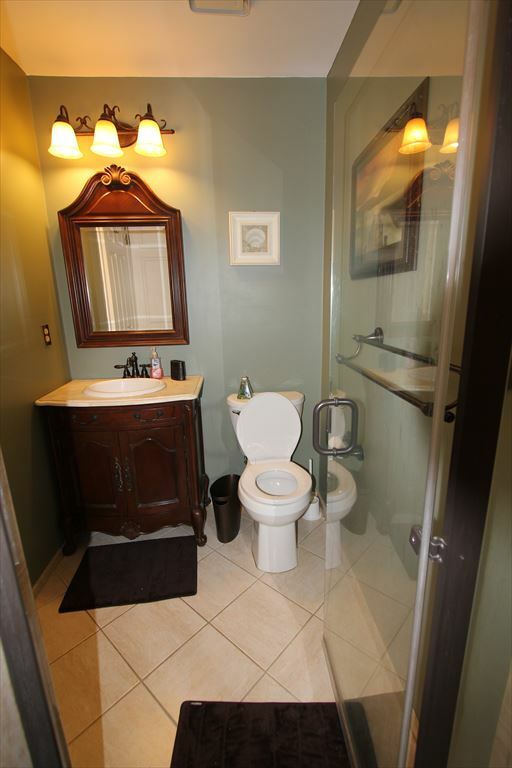 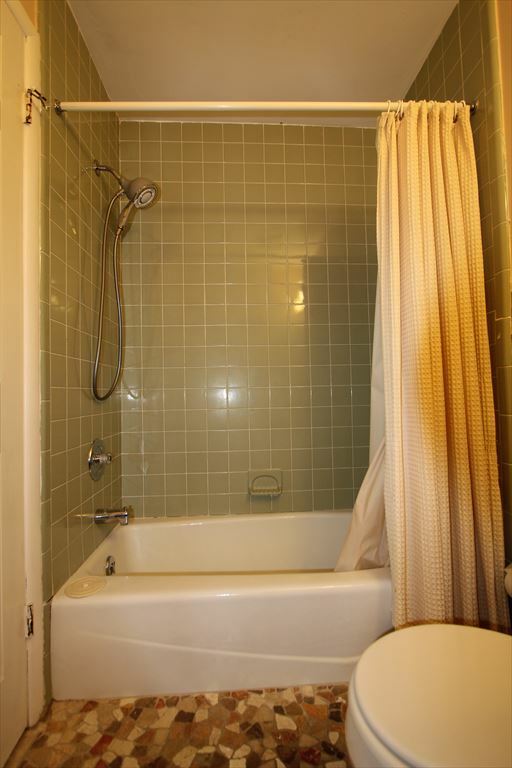 The hall bathroom features a tub. 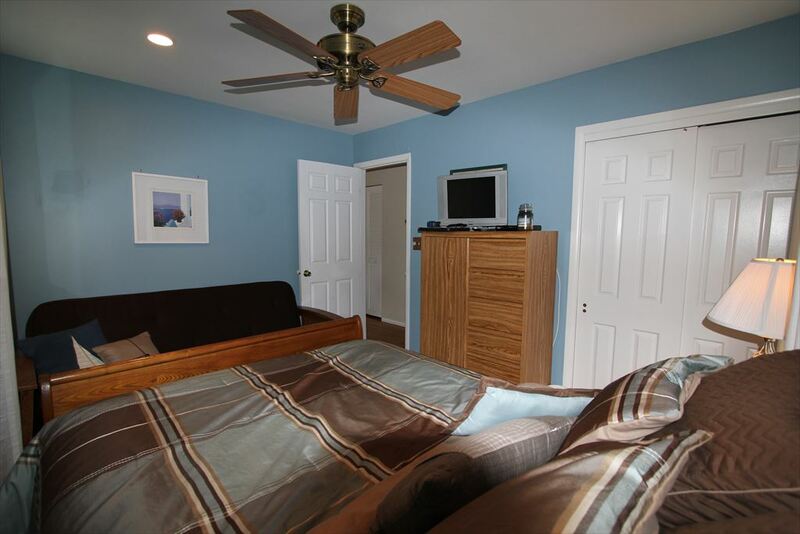 All bedrooms have TVs. 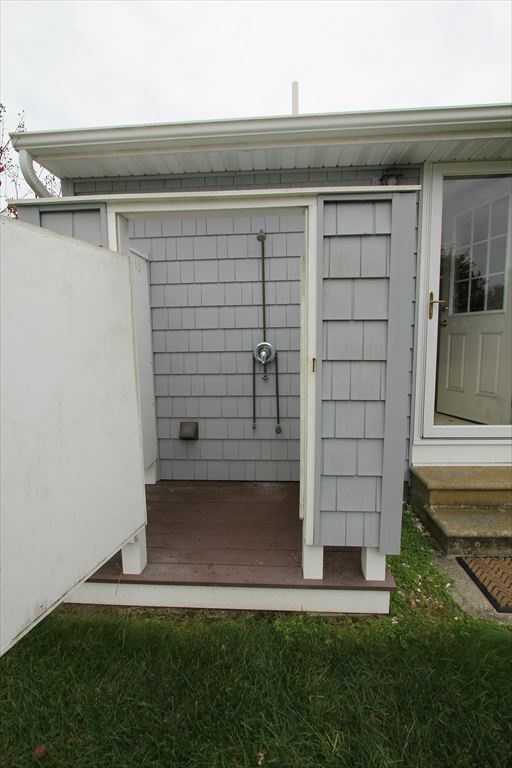 There is an outside shower as well as a large backyard.